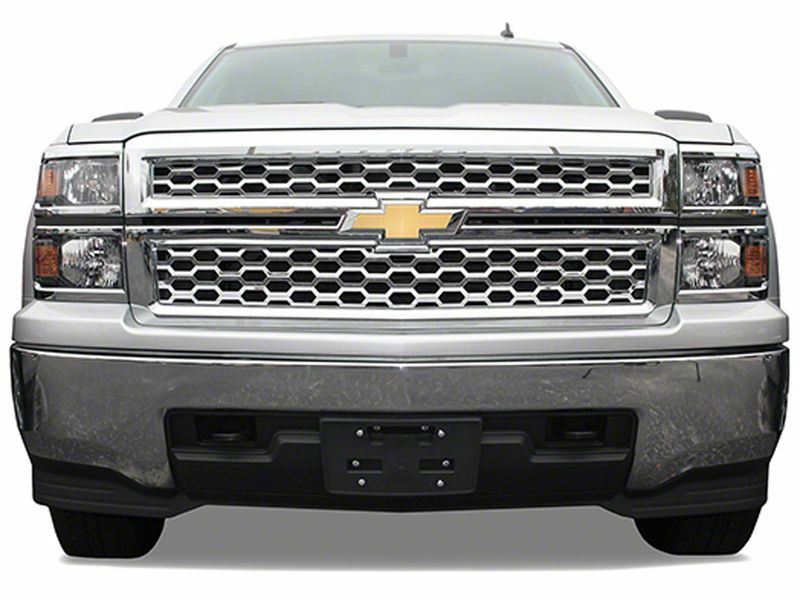 Give your truck a knock out look with the CCI punch grille! One of these grilles will give your truck the style that you have been longing for! CCI punch grille uses a triple chrome-plated ABS material for a long lasting finish and shine. Coast to Coast makes their grilles out of ABS so you don't have to worry about corrosion or rusting. The punch grille will also match all the other original chrome accessories on your truck. Coast to Coast wants to make it a hassle free install. What that means is there is no need to drill, cut, or bolt on anything. All you have to do is snap your new punch grille in over the top of your factory grille. So if you want to give your truck a new face lift then a punch style grille overlay from Coast to Coast is for you. Go get your punch grille today! CCI punch style grilles offer an easy snap-in installation. No drilling, cutting, or special tools necessary. You can always give us a call if you think of any questions or if you need any additional information.